Don’t you love it when you finally finish a project that has been on your “to do” list forever? One of my goals for this year is to get all of those pesky unfinished projects done, once and for all. 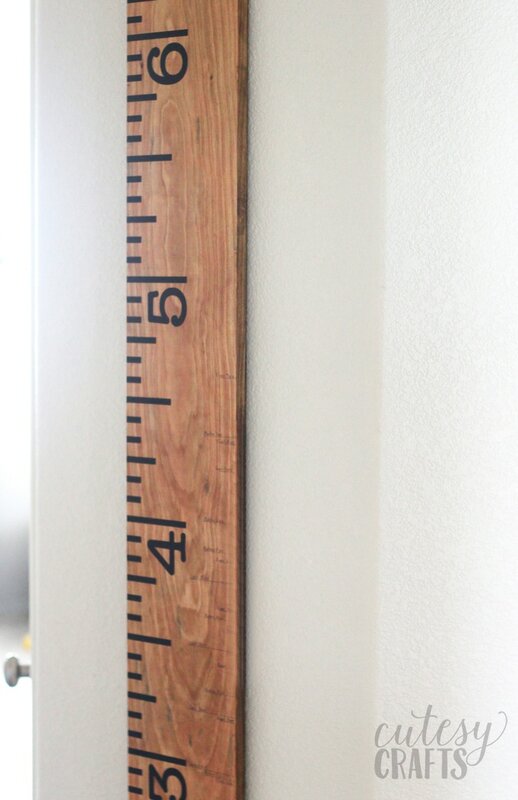 I have wanted to make a ruler growth chart like this for years now, and it’s finally done! It was so easy, I don’t know why I didn’t do it sooner. I used the free Silhouette cut file here from Where the Smiles Have Been for the numbers. It worked perfectly! Stencil Revolution has sponsored a link in this post, so you can see how to make one without a cutting machine. 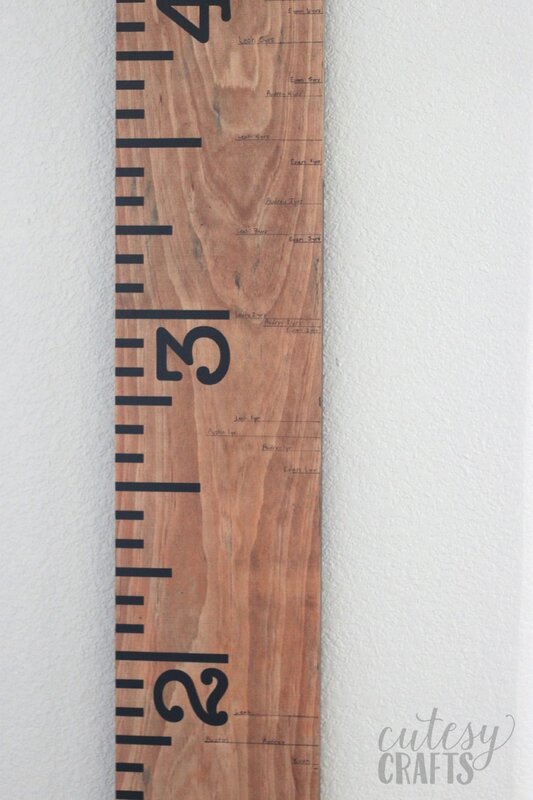 It would be so easy to do with this growth chart stencil! After I made it, I couldn’t figure out how to mark the heights of four children, while still looking nice. I thought about making vinyl markers, but I wanted it to be easy enough that I would actually keep doing it. I decided to go the old fashioned route and mark their heights with a pen. I really like the way it looks. To differentiate between each of the kids, I drew different lengths of lines. Evan is firstborn, so his lines are one inch long, Audrey’s are two inches, Leah three, and Austin four. I went back through their old medical records to bring the chart up to date, and I love seeing all of their height differences! I didn’t realize how tall Audrey is! I hung it in the hallway, just outside the toy room, and it looks great! 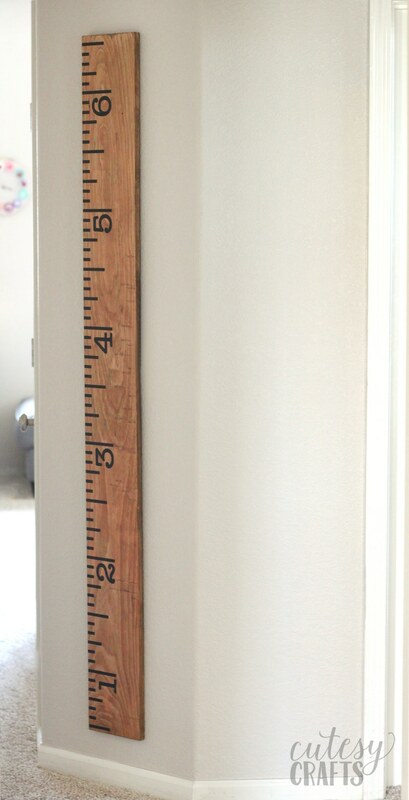 The kids love standing next to it to see how tall they are. 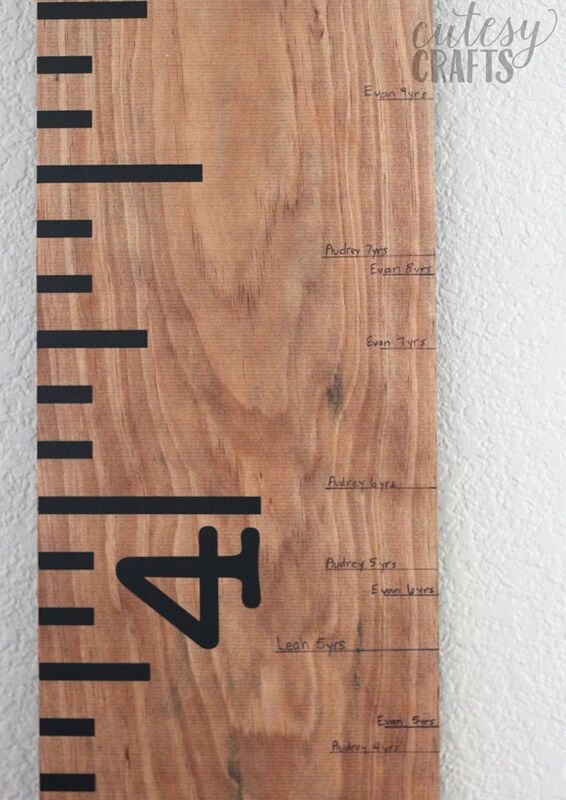 How do you keep track of your kid’s heights? Be sure to check out my other Silhouette crafts!